Tap 3 oclock to change face and hand color. 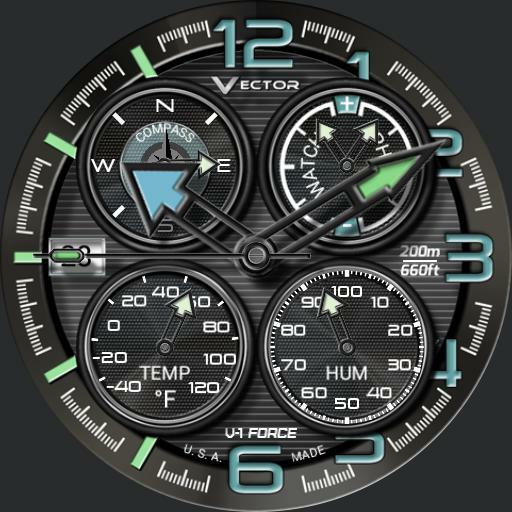 Shows current temperature, date, compass, humidity, watch phone battery level. Tap thermometer to change from F to C.Tap humidity to update weather. Tap compass to switch to wind direction. For compass operation, watch must be capable to use this feature.